A developer with projects in Five Points and RiNo is gearing up to break ground on its first condo project in Cherry Creek next month. 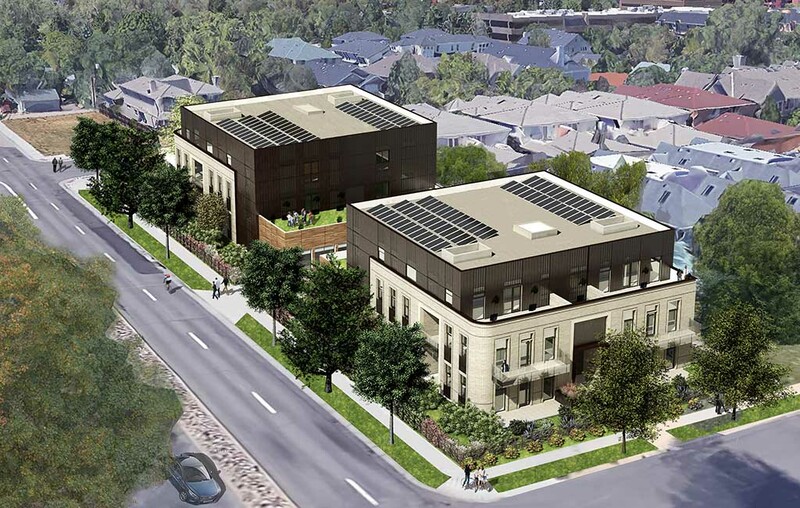 Fuse Living co-founder Shannon Harris said the 12-unit project, Affinity, should start construction on the block of Alameda Avenue between Monroe and Garfield streets in mid-May. “(This location is) walking distance to Cherry Creek and all of the Cherry Creek amenities, but it’s far enough away that we could create a little oasis that isn’t right in the heart of the hustle and bustle,” Harris said. Two houses on the west side of the property were cleared a few months ago, Harris said. The east side of the property was vacant. Affinity will comprise two identical three-story buildings, one on the west side facing Monroe and one on the east side facing Garfield. Each building is 12,000 square feet, with windows overlooking a courtyard separating the two structures. The project was designed by Studio Completiva. M&B Construction Services is its general contractor. Harris is planning on a year-long build time, starting with the building facing Monroe and then tackling the Garfield-facing site. 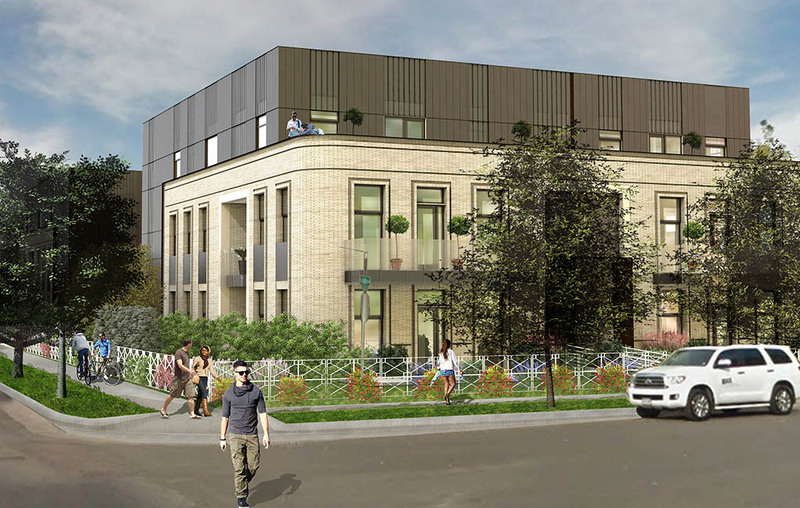 Harris said the two- and three-bedroom units will start around $900,000 and go up to $1.2 million. Each unit comes with two parking spaces in a ground-level garage. Harris expects the monthly condo fee will be in the mid-$300 range. Jana Miller and Casey Shea of LiveUrban Real Estate have the listing. Shea said one stand-out feature is access to outdoor space, like private patios and outdoor terraces planted with grass and other greenery. Fuse Living acquired the 0.4-acre property in 2015 for $1.4 million, city records show. The company is finalizing a $6 million construction loan from FirstBank, Harris said. Harris, an interior designer by training, launched Fuse Living in 2012. The firm completed a pair of townhomes in Five Points in 2015, then finished two more projects in Five Points and RiNo last year. 1 Comment on "Developers soon to break ground on million-dollar Cherry Creek condos"
So thrilled and honored to list this project with my partner Casey Shea! The architecture is exquisite. The outdoor spaces are unparalleled. And location has it all–close to Cherry Creek’s great amenities. Check out affinitycherrycreek.com for all the deets!